The nearly 10-year free ride is over for a standout, yet little-known Microsoft service. With as little fanfare as the feature itself received, Microsoft is ending Outlook.com sign-ups for its custom domain service. Custom domain support allowed you to use Outlook.com (and Hotmail before it) to manage a personal, non-Microsoft email domain—such as name@pcworld.com or name@example.com—though the "management" was limited to adding and removing up to 50 individual email accounts using the specialized domain. It was a great, free feature for personal use and small businesses alike, but alas, even good things must end from time to time. TANSTAAFL. Microsoft announced the termination on its Windows Live Admin page, and ZDNet's Ed Bott first reported the service's demise. Oh crap. New customer custom domain support is ending for http://t.co/02vrQ8MKUZ. I'll have to get ahead of that and move to @Office365. Existing custom domain users won't be left completely out in the cold, however. While the ability to add or remove new accounts will shortly be removed from Custom Domains, all current email address will continue to work in Outlook.com, and principal group program manager Mike Schackwitz told Bott that the support will extend indefinitely. "For domain administrators who wish to continue to manage email addresses in their domain, we will be providing the option to migrate your account to Office 365. As part of Office 365, you will be able to continue managing your custom domains, as well as use many additional productivity tools including shared calendars, cloud storage and instant messaging." Affected users will also be offered a free three-month subscription to Office 365 Small Business Premium, Bott reports. 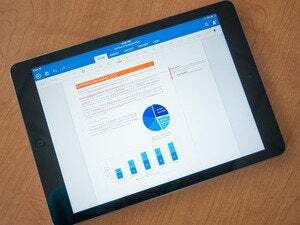 The price skyrockets once that trial ends, however: Office 365 Small Business Premium costs $150 per year (or $15 per month) per user, though it also includes rights to install the Office suite on your PCs and mobile devices, along with other business-boosting features. A basic Office 365 Small Business subscription, sans Office rights, costs $60 per year (or $5 per month) per user. It also includes custom domain support and Outlook Web App usage.